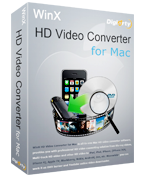 WinX DVD Ripper for Mac does perfect job to rip all DVDs to video formats, such as DVD to MP4/H.264, MKV, MOV, FLV, AVI, etc. With 350+ profiles, it also enables you to smoothly appreciate DVDs on iPhone Xs/Xs Max/XR/8, iPad/Pro/mini 4/Air 2, Apple TV/4, Android, etc. Please feel free to share this offer if you think it's helpful! The offer is provided by StackSocial.com. Please click "Download Now" to download this app, then activate it using the license provided by StackSocial.com. Purchase benefits: Constantly free upgrade to support the latest DVD copy protection & output profiles for latest-gen iPhone, iPad, iPod, Apple TV, etc. Q. I am a StackSocial member. I downloaded and installed this app, what should I do next? Open up this app, click register button, enter your registration information in "licensed email" and "license code" fields to activate your software. Then you're all set up! Q. Is there any limit on my license code? It works the same as the full version, but won't let you free upgrade. 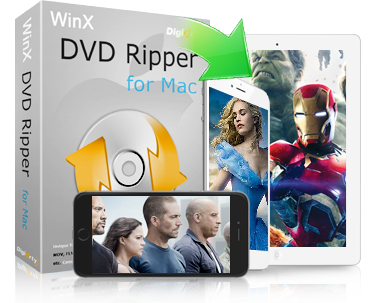 If you wish to enjoy free lifetime upgrade that enables ripping any newly-released DVD movies for playback on iPhone, iPad, iPod, Apple TV, etc, please click "Buy Now". Q. I am a non-StackSocial user. Where can I get the license code? 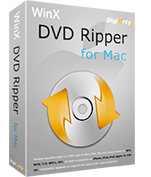 WinX DVD Ripper for Mac is being given away on StackSocial for a limited time. To get the license code, please visit here: Free: Mighty Mac App & Utility Bundle. Here're the steps: Register a StackSocial account --> Like and share this bundle --> Get license code.